Subject: These 2 Medical Marijuana Companies Are Going "All In"
Recreational marijuana companies have become some of the hottest investments on Wall Street. But medical marijuana companies get far less ink, even though many of them are likely to be more profitable. We're extremely bullish on medical marijuana stocks because the medical industry is expanding as much as recreational cannabis. In fact, Global Market Insights projects that the market for medical marijuana will exceed $8 billion in the United States by 2024. Money Morning Defense and Tech Specialist Michael Robinson believes that $8 billion figure is likely conservative. Just think of all the U.S. states that are interested in growing medical marijuana industries. States as disparate as Florida and Nebraska are climbing on the medical marijuana bandwagon. New laws in numerous states will help both consumers and companies. In just a minute, we'll show you two companies that are "all in" on medical cannabis. Both have visionary leadership to profit from both marijuana business segments, medical and recreational. Targeting both industries is a win-win situation for both the companies and investors. Focusing on both can jump-start the bottom line of both companies. Marijuana plants contain a chemical compound known as cannabidiol (CBD). It's not the part of the plant that leads to euphoric feelings. But it is the part that can relieve pain and inflammation in conditions from arthritis to cancer treatment. Many strains of cannabis have been developed that have high levels of CBD. The Brightfield Group forecasts the market for medical marijuana alone will reach $22 billion over the coming three years. 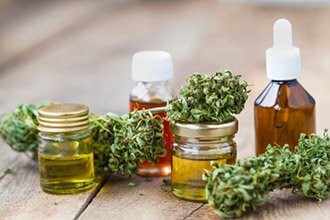 Not only that, but with the recently passed Farm Bill in Congress, more companies can place CBD into goods where it would not have been allowed previously, such as creams, ointments, pills, and beauty products. State legislatures and other official bodies are expanding their efforts to reform medical cannabis laws or pass new ones. One of the biggest reasons for the change is the overwhelming support from the public. According to Pew Research, 62% of Americans favored the legalization of all marijuana in 2018. Florida's Republican governor, Ron DeSantis, requested the state's legislature repeal Florida's stance on medical marijuana, which is currently prohibited. Even in conservative Nebraska, legislators are seeking to put forth a medical cannabis bill that would make it possible for some patients to have, cultivate, consume, and purchase medical weed as long as it is from dispensaries that are licensed. The medical marijuana movement is worldwide, not just in North America. Countries in Europe are eager to establish medical marijuana for patients. Robinson believes that continental Europe could grow into the biggest market for medical marijuana in five years, in fact. And some familiar company names will be eager to take advantage of European markets, if so. Even by 2020, the biggest medical marijuana markets in Europe might double, according to a report published by the Prohibition Partners at the Davos World Economic Forum. The publication, The European Cannabis Report, forecasts that the European market could be worth more than 58 billion euros over the next 10 years.